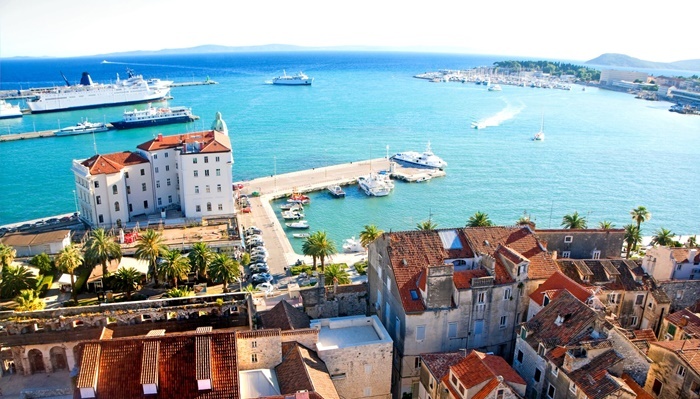 The best way to explore the coast is on an island-hopping Croatia cruise. 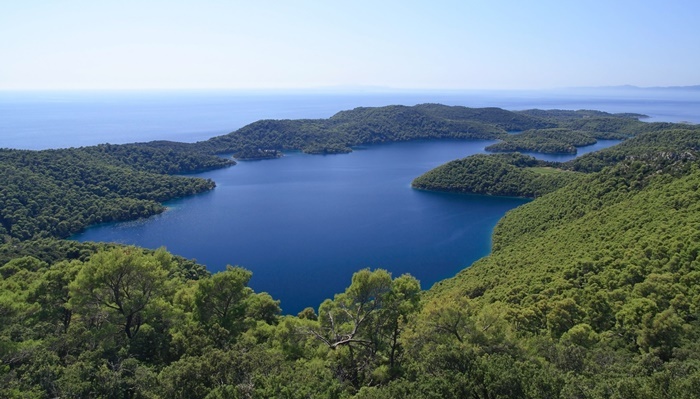 One of the most beautiful islands in Croatia is Mljet which has within it, two saltwater lakes. You can take a small local boat to the centre of the larger lake and discover an ancient monastery there atop a tiny inner island. 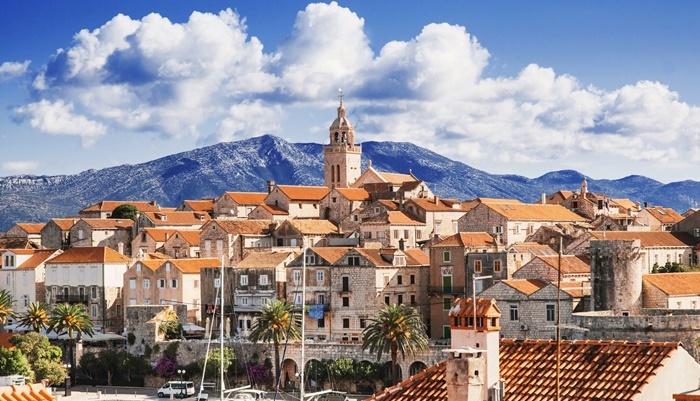 Or perhaps the island of Korcula will be your favourite. Here you can explore the old town and the Cathedral of St Mark, sip on a glass of locally-made Grk white wine or taste honey made on a farm in the centre of the island. Our Croatia travel agents are at the end of the phone if you want to find out more about a cruise in Croatia. 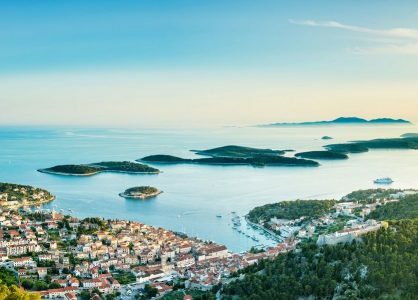 If you try a Croatia cruise between Split and Dubrovnik, you are sure to be astonished by these ancient cities’ wonders. Dubrovnik’s mighty fortress sits proudly atop the cliffs with a sheer drop from the top of its thick stone walls to the bright blue sea below. The inner city’s Old Town is home to countless independent shops as well as lots of trendy bars and restaurants (call us on 020 8004 2345 for our top recommendations). 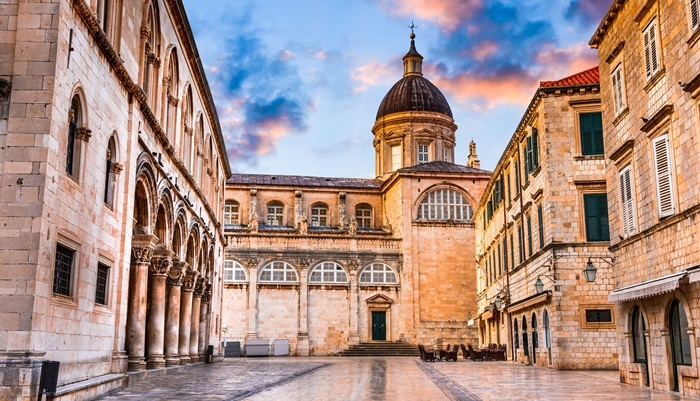 Around the city are more breath-taking ancient buildings like the Rector’s Palace, Sponza Palace, the domed Cathedral of the Assumption and the bell tower of the Franciscan Monastery and Museum. One of Split’s main attractions is the wonderful Diocletian’s Palace, built by the Roman Emperor Diocletian in about the fourth century AD. Today it forms about half of Split’s Old Town. Cross it’s threshold through a large archway, leaving the sunny, palm-lined promenade behind you, and enter a cool underground area, once used for Diocletian’s garrison. Today you’ll discover many market traders selling handmade trinkets. All of our Croatia cruises visit Split and/or Dubrovnik and have a city tours included. All of our tour guides are local to the area and are fluent in English. 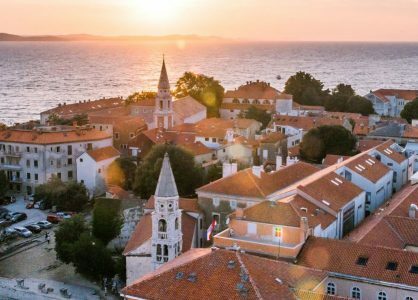 Croatia Week recently reported that there’s been a 12% increase in the number of people who visited Croatia between January and June in 2018, compared with same period of time in 2017. 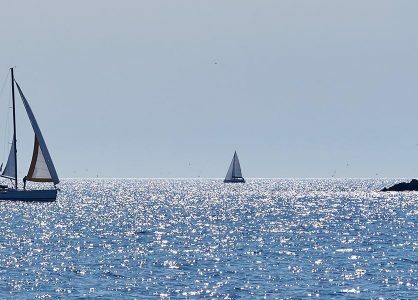 Whilst this is great news for Croatia’s economy, we suggest getting ahead of the crowd and booking your holiday to Croatia today, before the rest of the world catches wind of the idea. Call our Croatia travel experts today on 020 8004 2345.